GoOrganic cooperate with both domestic and international raw material suppliers. Our suppliers are chosen based on a number of factors, including the quality of all the ingredients complying with the latest Danish Food Governing- and FDA Regulations. All ingredients must satisfy our requirements for quality, purity and potency. GoOrganic is a contract formulator, manufacturer and packager of nutritional and dietary supplements. It executes customers’ private label formulations and creates custom products under exact quality requirements. 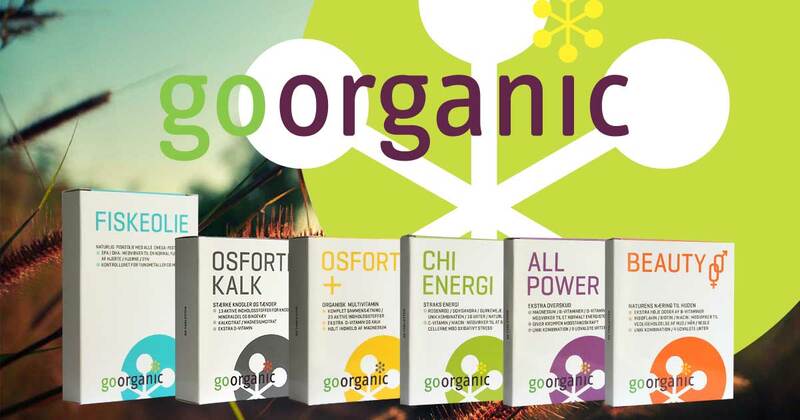 GoOrganic produces tablets and powders in a very wide variety of sizes and configurations, and packages them to meet customers’ requirements. GoOrganic is a rarity among contract manufacturers of nutritional supplements. Ultramodern facilities for producing tablets and powders. A selection of packaging capabilities that makes virtually any assignment turnkey. Formulation: We can produce an existing formula or offer expert guidance on improving an existing formula, or even create a completely new one–including organic formulations. Testing: From raw materials to the finished product, we conduct testing every step of the way. That’s one of the key reasons we’ve earned GMP certifications. Manufacturing capabilities: Whatever process your product requires, chances are we’re equipped—and experienced—to provide it! Packaging and labelling: Pick your packaging—bottles, jars, packets, blister cards, sachets or stick packs along with pressure sensitive labeling, and clear or printed foil packet film. The secret of our success at formulation?